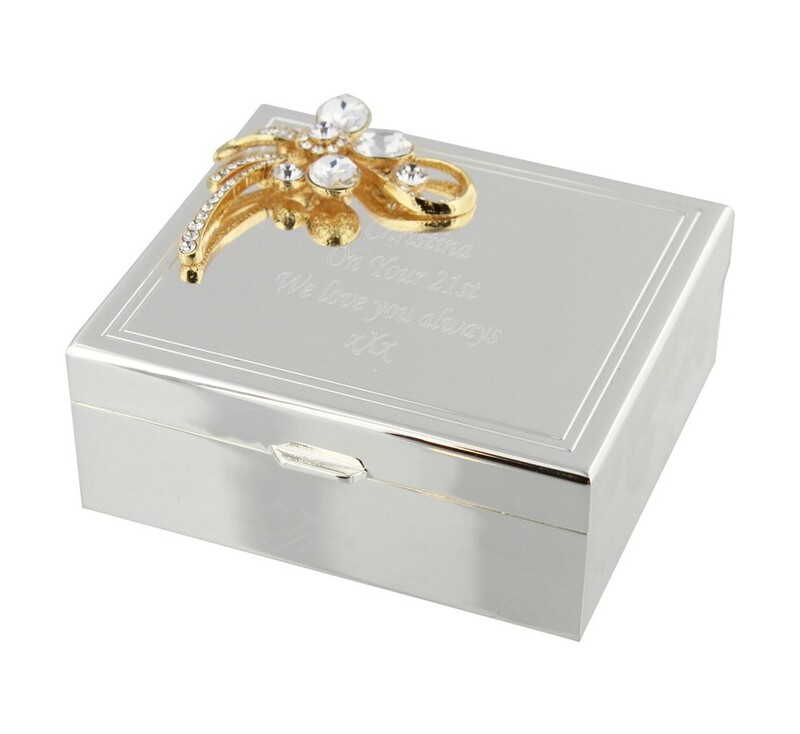 Personalised Engraved Silver Plated Gold Bow Trinket / Jewellery Box. The lid of the box is hinged and has a velvet lining. It measures 100 x 100 x 50mm and has a large engraving area. It has a beautiful gold bow and crystal detail. Perfect for all occasions including Birthdays, Anniversaries, Weddings, Mothers Day, Christmas...it's endless!